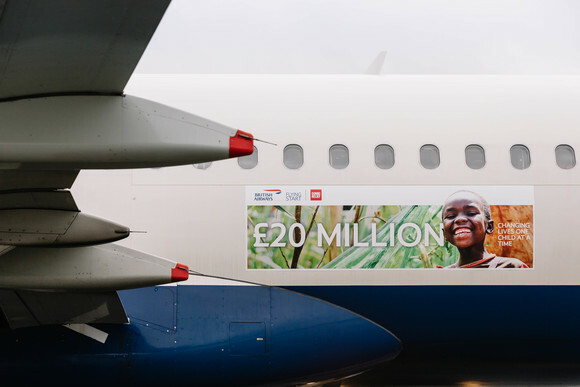 LONDON, UK, 2018-Nov-08 — /Travel PR News/ — Flying Start, British Airways’ global charity partnership with Comic Relief, is celebrating raising a mammoth £20 million. Flying Start began in 2010 with a goal to raise £20 million by the end of 2020 and has achieved its fundraising target more than a year ahead of schedule, thanks to generous donations from British Airways customers and colleagues. Alex Cruz, British Airways’ Chairman and CEO, said ““This is such a huge achievement and I’m delighted that we’ve hit this wonderful milestone. As part of the £20 million celebrations British Airways took broadcaster Gabby Logan to visit Projekts MCR in Manchester, one of the beneficiaries of a Comic Relief grant and a not-for-profit organisation which aims to develop people through skateboarding by building confidence, supporting personal development and encouraging healthy choices. Projekts MCR focuses on making skateboarding accessible to under-represented groups, and the grant was awarded to develop the use of skateboarding to engage young women within the sport and more widely. Street League Academy – A programme using sports as a hook to engage young unemployed people in Manchester, supporting them to gain the vital skills, knowledge and confidence required to gain sustained employment and look forward to a financially independent future. Mothers 2 Mothers – an international organisation empowering mothers with HIV to bring hope to other mothers by providing comprehensive, family centred care, paediatric HIV, nutrition and family planning among other services. Since partnering with British Airways, other projects supported by Comic Relief include; The Nelson Mandela Children’s Fund in Cape Town, the Railway Children charity in India, Magic Bus in Delhi, Fight for Peace in Rio de Janiero, The Pendekezo Letu in Kenya, Project Y.E.S.S in London, the Bolton Lads and Girls club, D2 Youth Zone’s in Newcastle and North United Communities project in Scotland. This entry was posted in Airlines, Travel, Travel Services, Travelers and tagged Alex Cruz, British Airways, charity, Comic Relief, Flying Start, Gabby Logan. Bookmark the permalink.